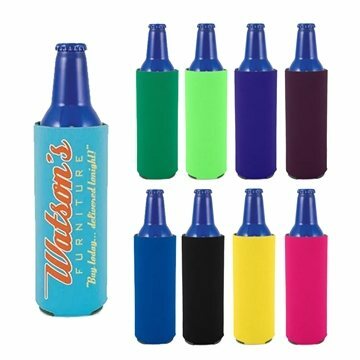 1/8" Thick High-Density Open-Cell Scuba Foam collapsible insulator that fits 16 oz. aluminum beer bottles. The bottle coolie is sturdy. We believe that this product turned out nice. I work 2 jobs and I also try to fit in working out into my schedule as well.